Toraya is a purveyor to the Imperial Family and its rich history can be dated back to the 1600s. The signature item at Toraya is the yokan cakes wrapped in bamboo leaves. This is considered one of the top shops for wagashi, in particular, the yokan. The yokan comes in several flavors including azuki, mattcha, and the kokuto has a rich, deep flavor. Toraya has outlets in most depachika. 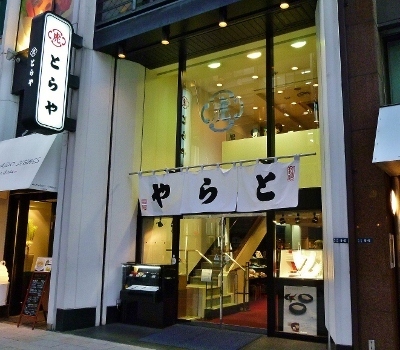 The main shop is in Akasaka with an eat-in space. The recommended dish is anmitsu. This gorgeous shop in Ginza has a retail shop on the first floor and a café on the second floor. In the summertime you can cool down with a kakigori (shaved ice sweets).